10. 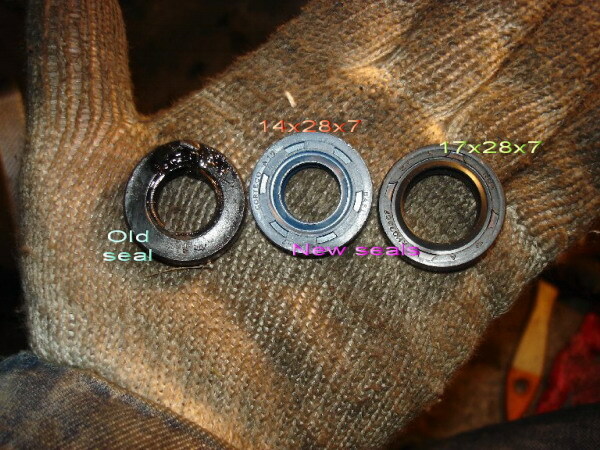 According to the part number the size of oil seal is 17x28x7, but in my GL1500 SE â€™00 the spindle shaft has a 14x28x7 size, so, be attentive before buying the oil seal. 11. 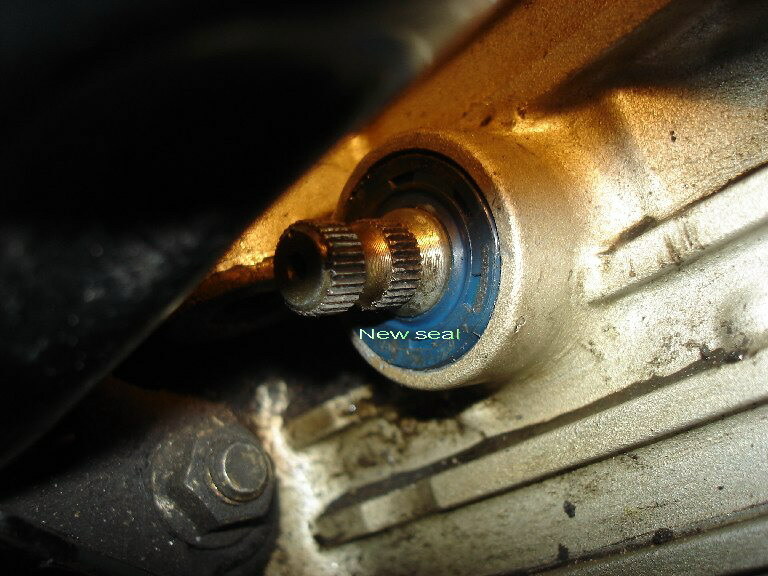 Carefully press in the new oil seal and assembly all parts. Great tutorial really appreciate all of you posts. Keep them coming. You know your way around a camera as well as you know your way around a Wing. Great pics too. Good lesson and pictures to explain . 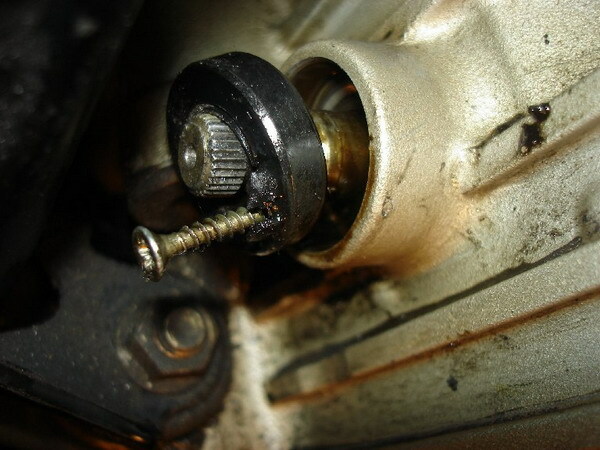 I layed the bike down on a carpet...removed the shifter and reached around the pipes to do the job...but ya need to work like a tedious surgeon with longer tools...but doable without messing with the nasty pipes...good pics and tutorial!! many dirt and streets..cant remember!! Ask the wrench god 1st!! I just stripped off most of my plastic today as I am beginning to do all the maintence on the ole girl. (97 Aspy) I discovered that my seal must be leaking(very little) because of the oily mess around it. I'm not too fond of having to take the exhaust all down just to get to it. And then the frame is right smack in front of it also . But I guess it's better to do it in my warm garage then to be out far from home and have it give out completely. I think I'll give a try at it without removing the exhaust likegrambo did. Only,,, I have mine on the jack right now. So I won't be laying it on it's side like he did. Thanks for posting the tutorial with pics. It does help for sure. 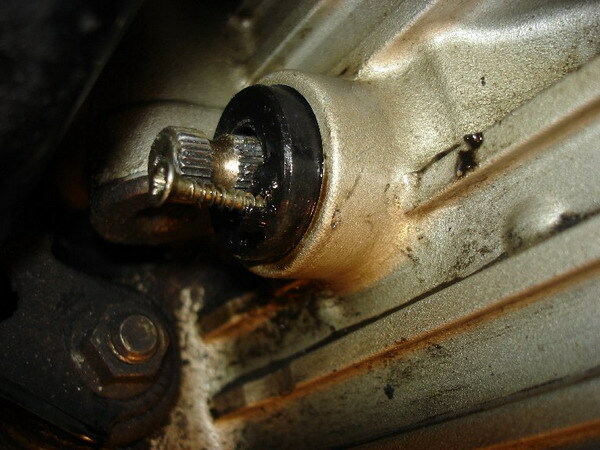 its much much easier with it on its side..to see and work on....unless you get it up high on a rack..you should be ok...spray it out real good with carb cleaner and use a sticky sealer when you pop it in...no burrs on splines also...if you cant manage it you can just pull down the headers... not remove completely for more room...but with the right longer tools you dont have to.